Traffic so thick and jumbled, you don’t understand how complete gridlock can’t be the only result. Places that people call home made from scrap metal built on piles of mud and garbage. Men stopping on the side of an extremely busy road to relieve themselves. At least their backs are turned to the traffic. Children on the side of the road in no clothes. Or if they are wearing clothes, sitting by the side of the road in such a way to show that they are not as fully clothed as I am (read: no underwear). Stray dogs everywhere, always on the prowl for something to eat, sometimes with their ribs showing, sometimes not. Things you can’t unsee, and you can’t express, only experience. 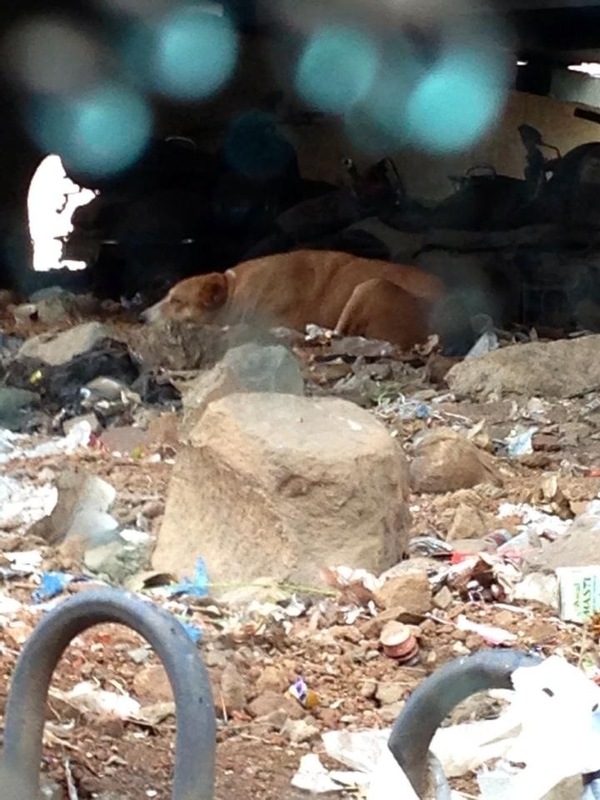 A homeless dog lies on rocks and garbage. 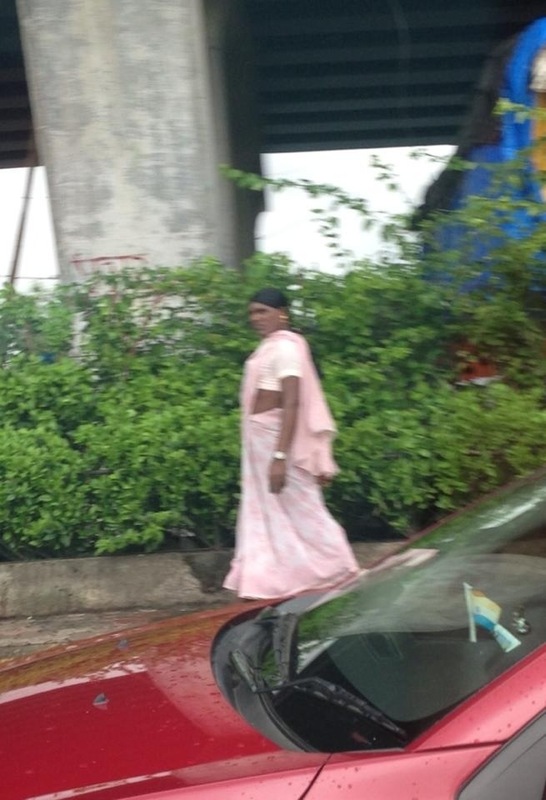 A man dressed in a pink sari disguises himself as a woman and begs on the street.